David Ormsby has won the world poker tour’s fallsview poker classic and collected the first prize of CAD$383,407 and got a seat in WPT Tournament of champions.He defeated Robert Forbes who was playing really well at the early stages of the final table but caught behind Ormsby with a collection of amount CAD$268,773. Forbes was having 3:1 chip lead/advantage against the winner david Ormsby till the heads up round of the final table. 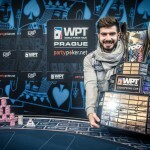 This victory is the biggest till date for Ormsby, who was earlier participating to the $10-$20 and $20-$40 kind of small hold’em cash games. Ormsby was very happy and told that I didn’t even think it was possible and I’m very happy. 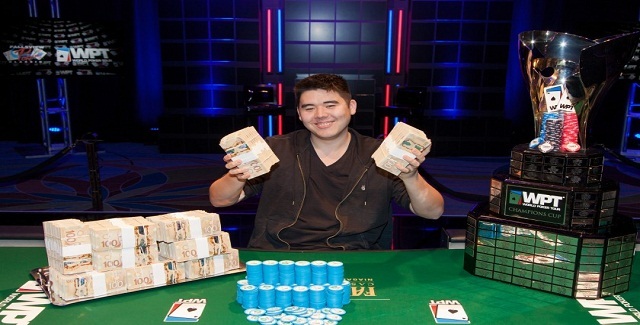 The world poker tour’s LA Poker festival kicks off on Saturday for $10,000 buy in. The first event took place on Wednesday at 8pm for the buy $1,100 No Limit Hold’em. 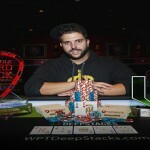 Anthony Zinno, a US pro poker player was the winner of the main event of WPT LA poker classic and took home more than $1 Million as prize by topping 528 players field. $1,100 buy in Hold’em at 8pm on Wednesday (10 seat guarantee), $1,100 buy in for 10 seats will take place on Thursday and $1,100 of buy in for 10 seat guarantee will take place on Friday 12pm. Two more games on Friday for $1,100 buy in each and 10 seats each will take place at 5pm and 8pm.Whereas two events are scheduled on Saturday 5pm and 8pm for buy in $1,100 with 5 seat guarantee to main event.